Want to know what goes where? Want to know about the newest cutting-edge recycling technologies? 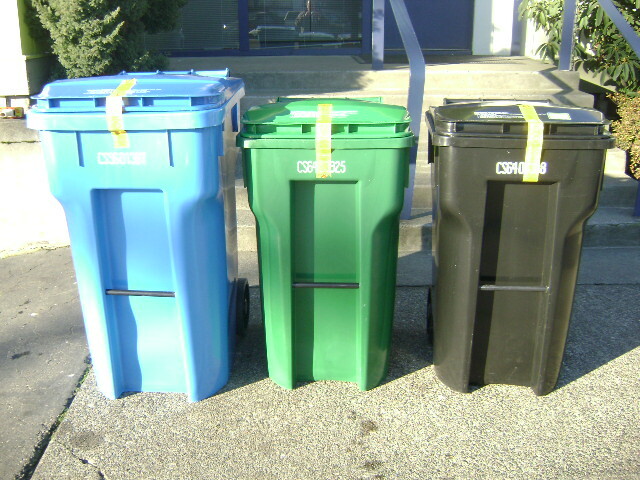 Want to know what happens to our waste in King County? Briarcrest Neighborhood Association and Shoreline United Methodist Church are co-sponsoring a recycling information night with a presentation by Recology Cleanscapes. Representatives from Recology Cleanscapes Education/Outreach will be present to answer the above questions. In addition, they will provide information about the ZERO WASTE goal, local trash and recycling disposal, and their new retail space where they now offer in-person service and a location to drop-off “hard-to-recycle" items. people don't seem to have any idea on what should and shouldn't go into the recycle bins...you can't recycle paper towels and lids under 3 inches. Good idea for anyone to just look at the top of the bins and see the pictures (yes even pictures on them) as to what can be recycled or just trashed.